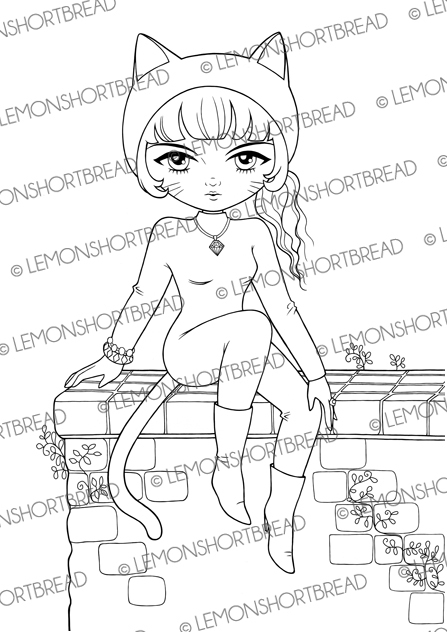 Cat Burglar Girl digital stamp - you may call her Catwoman, though my creation has no relation to the DC character but well, she looks quite like her! There are only so many ways to draw a cat girl... and cat ears are cute! She is wearing a diamond necklace, two bracelets and a ring. If you like another cat girl digi, there is "Cat Girl with Mouse" here. I coloured the artwork with markers, pastels and coloured pencils, with background done in Photoshop. Of course, you can also make this a daytime picture, and add gloves and a mask if you please. 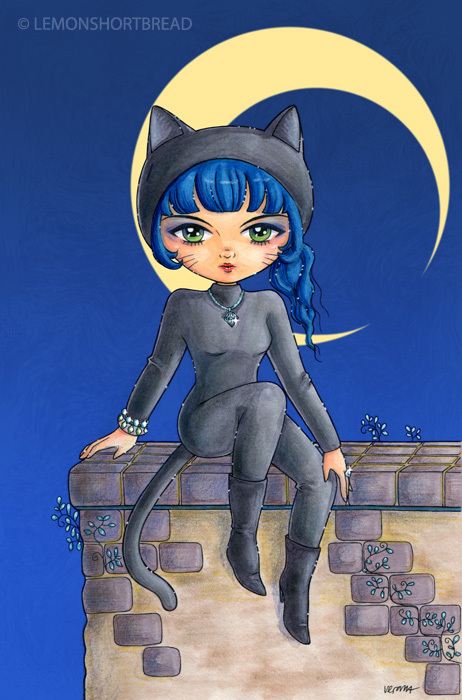 The cat burglar is so cute. I am fascinated by the way you can present the same character in different shades. I will definitely download this one.